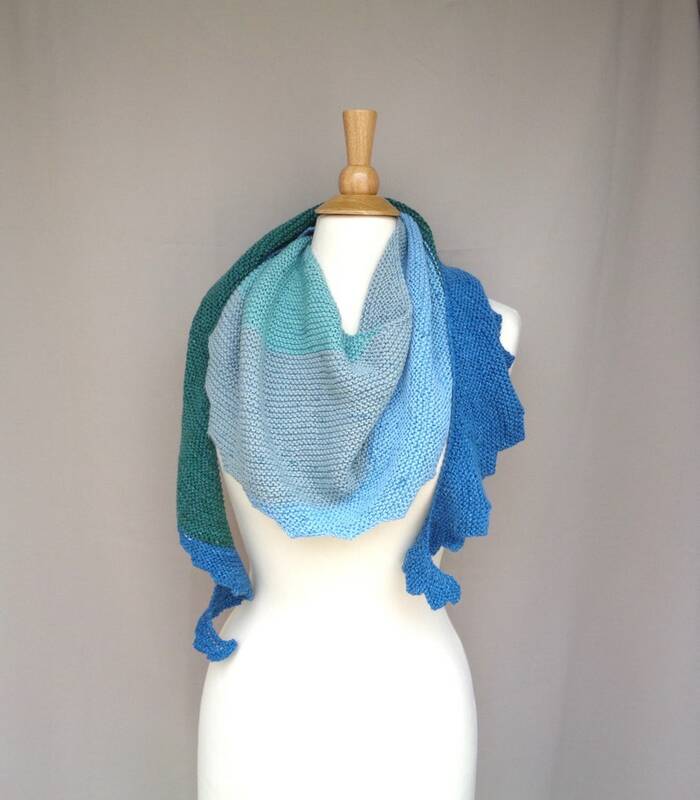 Here's a fun, color block scarf with a curved crescent shape - not quite a scarf nor a shawl! Wear it as a shoulder shawl, infinity wrap scarf, or close to the neck. Plenty of ways to enjoy the bright colors and unusual shape - did you notice the "sawtooth" edging? Carefully hand knit from end to end along the diagonal. You'll love wearing the squishy softness! Thank you for supporting Girlpower, a small, woman-owned business.